This inspirational audio, Success Is an Attitude of Mind, is the most enjoyable, to-the-point “how to” program you’ll ever experience! Success Magazine Publisher Darren Hardy’s in-depth interview of Ed Foreman, one of America’s greatest, most successful business speakers, brings out the thinking necessary to achieve robust health, financial independence, and lasting happiness. Rather than “theory”, it is the true-life story of “hands-on”, “making-it-in-the-real-world” action that took a poor farm kid from a “get-by” existence to the fulfillment of the American dream! 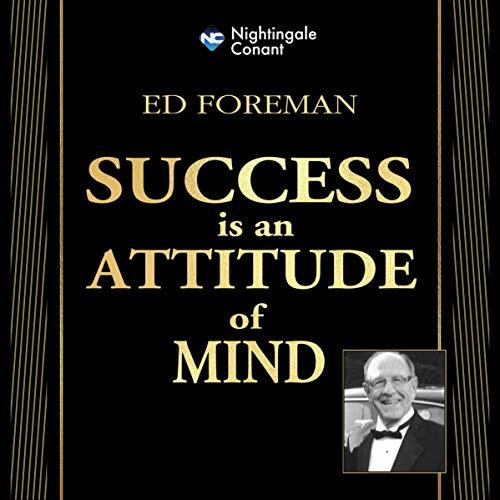 Ed Foreman talks teaches and inspires from his own personal life experiences that propelled him to “think” like a winner, to “image” success, and achieve seemingly insurmountable goals. Your life will be enriched and your spirits will be lifted as you listen to, and practice, the lessons Ed shares in overcoming adversity and achieving your potential…your purpose…the realization of your dreams! This will become a success classic!